Are you unhappy to see me or is that a eGo AIO ECO in your pocket? 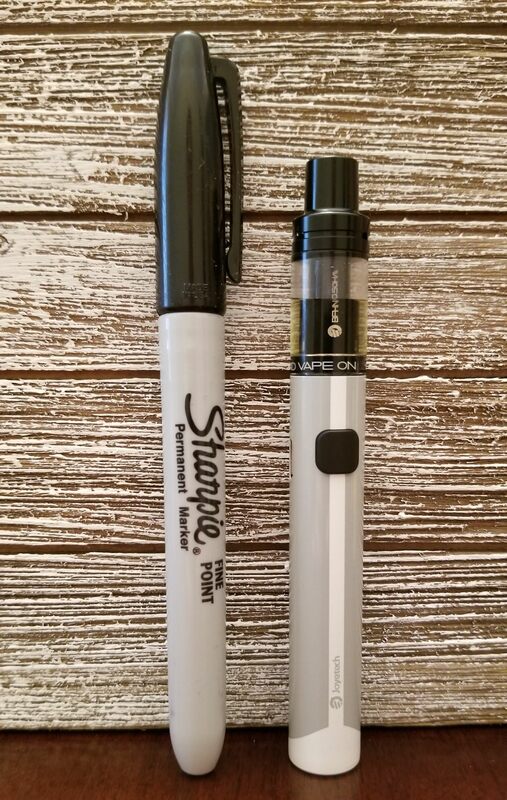 Small you say….yep, this is an itty bitty thang, check out the size next to a Sharpie….and this is the small sharpie. It even gets dwarfed by another Ego style kit. 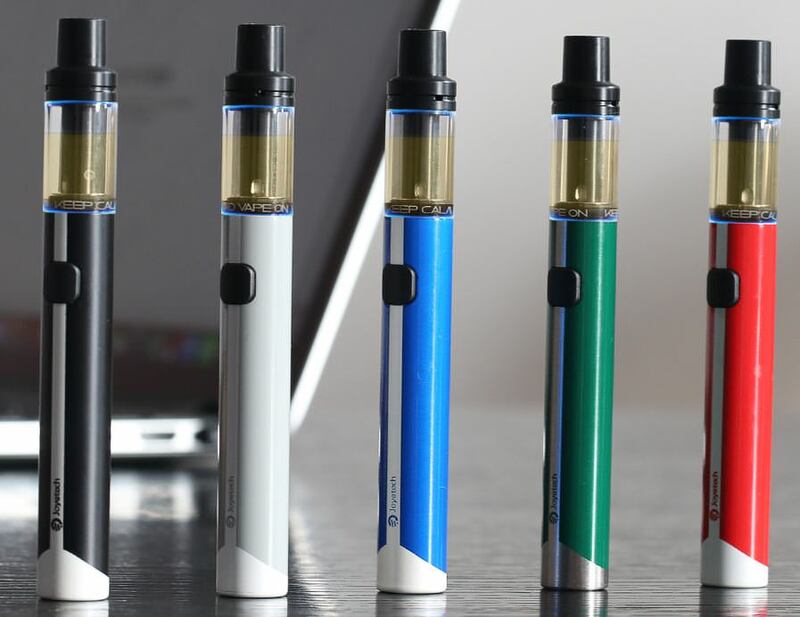 The eGo AIO ECO is Joyetech’s redo of the eGo but this time with ECO tech which is said to improve battery life, an estimated 350 puffs before having to recharge. I have had this for about 50 days and can count on 1 hand how many times I have charged it. I am not OCD enough to have actually counted how many puffs but damn it has been a lot. It has acted as a fidget spinner for my mouth, I use it a lot while I am fidgeting away with work. It only holds 1.2ml but damn does this thing barely sip the juice. 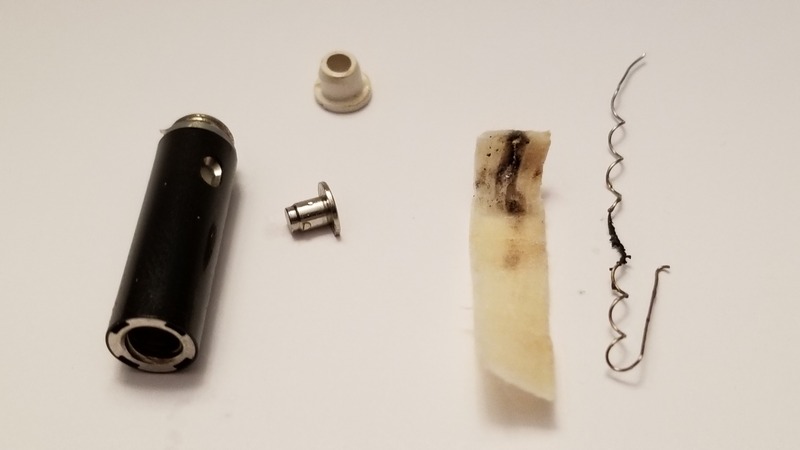 At one point I was determined to vape it dry, was using it all day and nope, couldn’t do it. I actually wound up dumping the rest of the juice to try out a new 25mg salt nic I just picked up. The salt nics by Salt Bae are really tasty and I had to try it in there. Now as far as flavor it is good but definitely not the best. 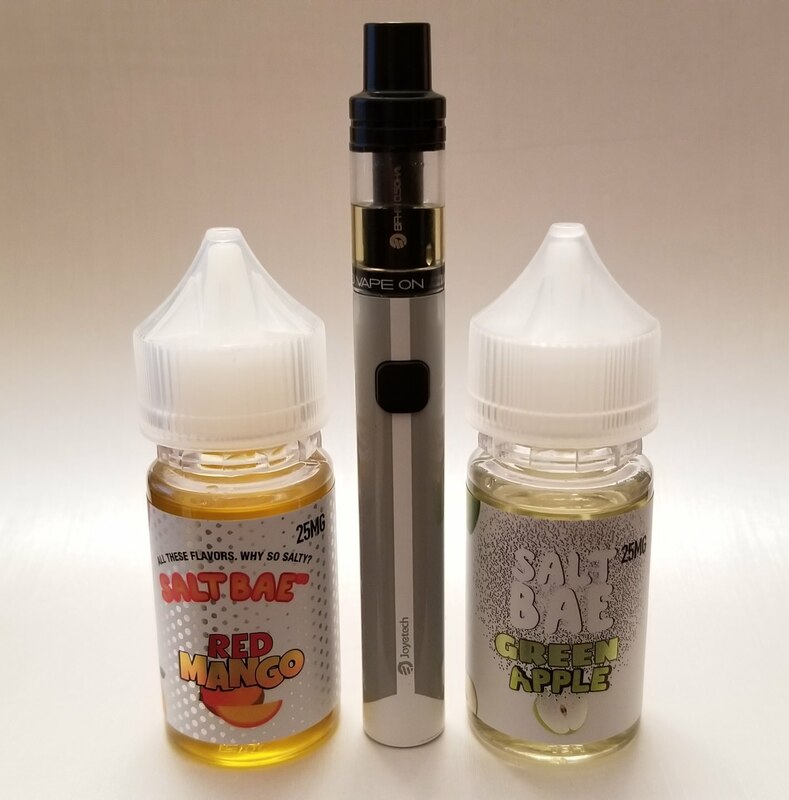 When I first sampled the Salt Bae nic salts it was on a Suorin Drop and from memory it was better, that is why I bought the juice. 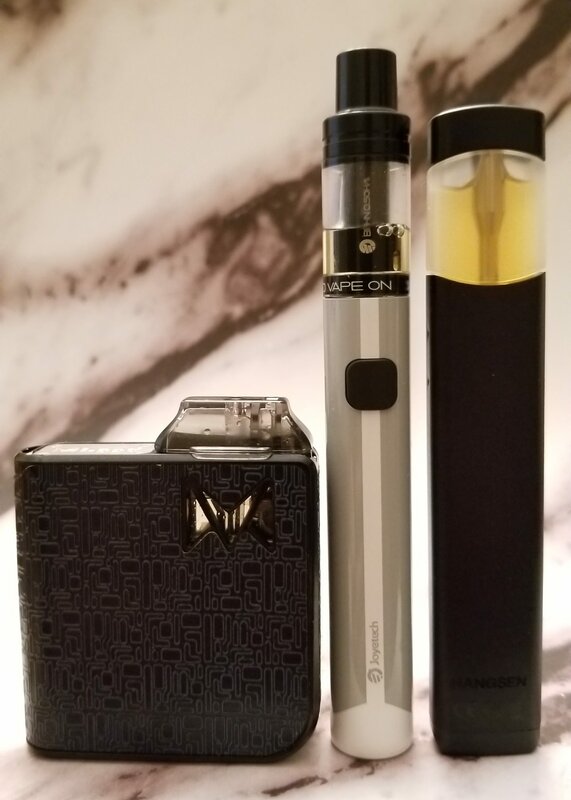 The Mi-pod which I own also has an edge on flavor but that and the Suorin Drop cost 2 to 3 times the cost of the eGo AIO ECO so they had better perform. 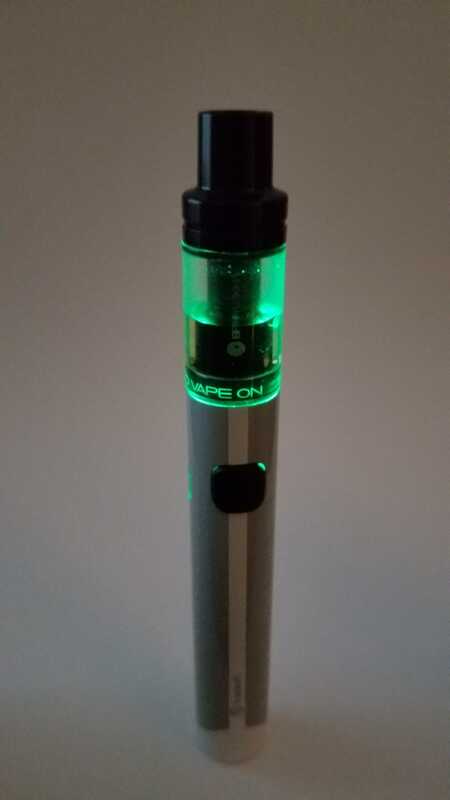 I also have a Hangsen IQ but I just can’t get on with that pod system, I enjoy the eGo AIO ECO better. Coil life was great with the first coil, must have gotten at least 3 or 4 weeks with it before I started to get a burnt taste. The second coil is already getting bad though and that is less than 3ml run through it. 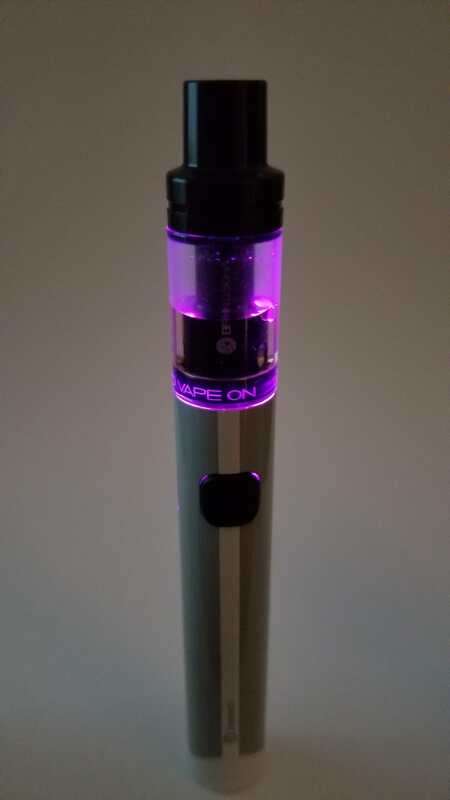 After my first coil I added extra coils to my wish list to order once they are in stock but now I am going to have to think about it. Could have just been a bum coil on the last but it sure didn’t last long. Here is a pic of the first coils innards. Now I will say….as I cough up a lung after taking a hit on the Mi-pod…true story. I have a hard time vaping some of these pod systems that use high nic, the Mi-pod has the same 25mg nic salt in it as the eGo AIO ECO. 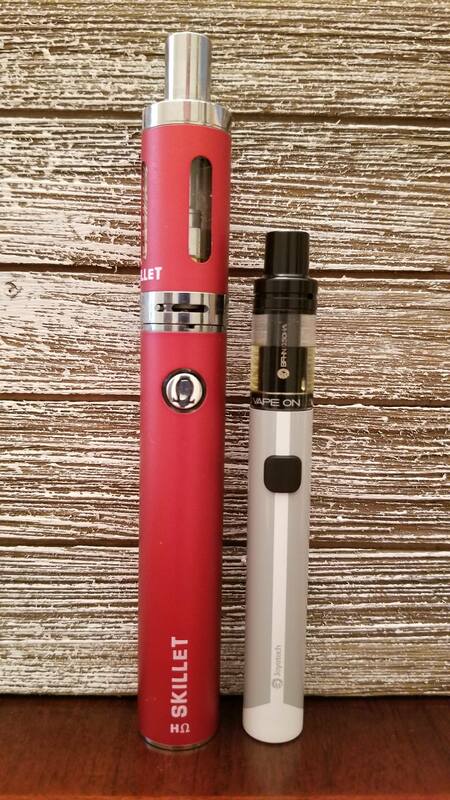 I am a deep lung vaper so I tend to forget with these MTL devices and high nic. 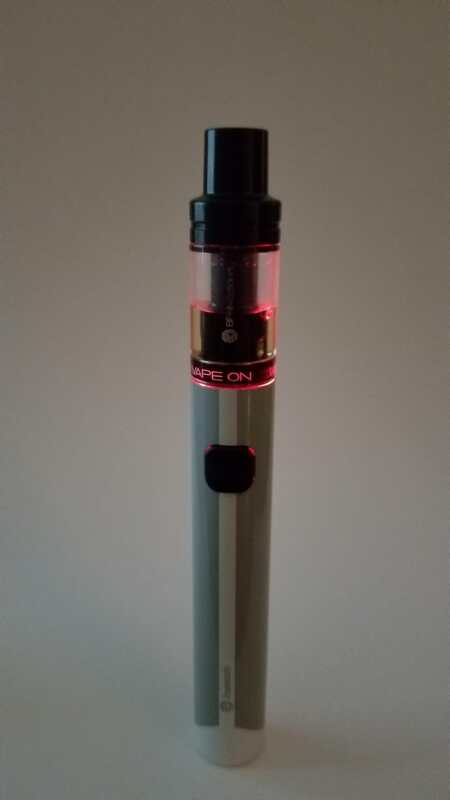 I never ran into that problem with the eGo AIO ECO though, I hit it over and over again with 25mg and no coughapalooza like I just got with the Mi-pod. This is why I personally have been using the eGo AIO ECO as I work, that is when I tend to forget and it saves me every time from coughing. 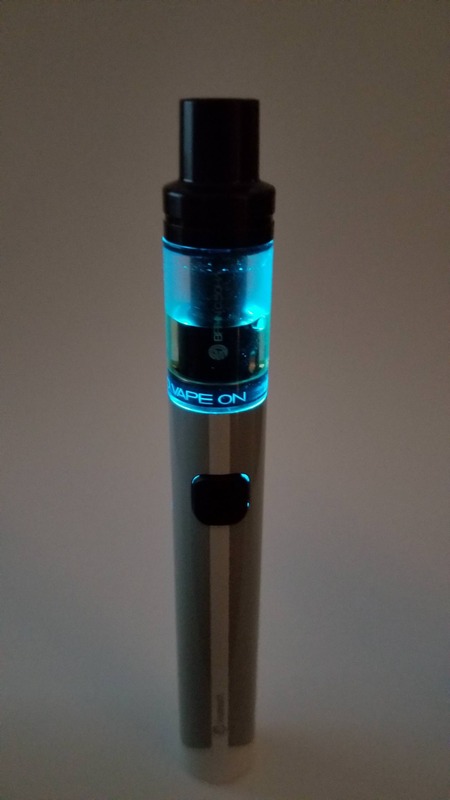 The eGo AIO ECO (yes, I have been copying and pasting that) has an LED that you can change colors. Just turn it off with 5 clicks, press and hold the fire button for 5+ seconds until the LED glows then click the fire button 1 time to change the color, you can even turn the LED off. Now I usually always turn off LED’s, just not my thing but have to admit that I sort enjoyed it, just another thing to fidget with as I work. Yes, I feel like a pansy with my fancy colors…..sue me, at least I used the blue LED….it’s soothing. I will freely admit that I was really thinking about skipping the review the eGo AIO ECO but I found myself grabbing for it a lot while working. I generally don’t vape my preferred dual coil RTA’s while working to keep my cloudage down, that is where pod systems come into play. I was thinking the Mi-pod would be my go to, has better flavor but damn, if I forget and take a big drag on it I can sometimes cough up a lung with 25mg salt nics. If the eGo AIO ECO was priced like the higher end pod systems in the $40 range then it would be a pass. It is not though, the link provided is $16 and, that is a bargain in my book. 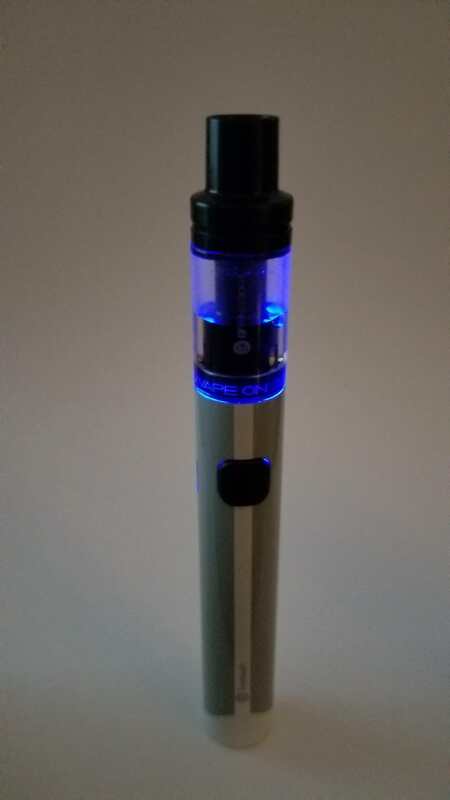 I plan on either buying another eGo AIO ECO to give to a friend who always coughs when she tries my vape. I am hoping she will find this enjoyable enough to give up the stinkies which she has tried and failed numerous times. If that works then hallelujah, I will buy her a new one every month if that is what it takes, at $16 a pop it would be so worth it.